The Shimano Flight deck system is a great system for measuring your speed. You change views on the screen without moving your hands from the steer bar. It displays your current gear ánd calculates your pedal frequency. 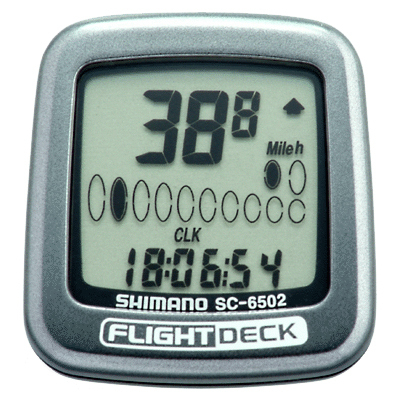 Download the user instructions / manual for the Shimano Flightdeck in pdf format below.